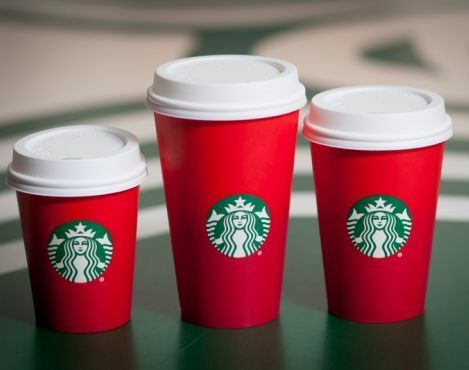 ​Yes, I know there is a lot of noise around the whole “Starbucks Red Cup” and really, who needs another opinion on this topic, but I have skimmed lots of articles, blogs, comments and tweets, and none have mentioned some of what I have been thinking. So for what it is worth, here are a few of my thoughts. First, we cannot expect Starbucks to be responsible for keeping Christ in Christmas when Christ is not in their business plan. The Bible is pretty clear that those who are not believers cannot understand the things of God. Third, is this all we have to talk about? Children are dying and starving locally and around the world. There are wars taking place and thousands of people displaced from their homes. There is a refugee crisis overseas. People are out of work and homeless. People are critically ill and dying, and all we can talk about is the design of a coffee cup? Jesus must be weeping out of frustration just as He did when the people were crying and carrying on when He returned to find that Lazarus was dead (John 11). A Baylor University graduate with a Southern Baptist heritage, Leah Stewart, owner of The Olive Branch bakery and cafe, learned early that good fellowship always begins with good food. Incorporating this idea into her concept for The Olive Branch, Leah serves fresh breakfasts, a diverse lunch menu, homemade desserts, and specially blended coffees. Situated in the heart of downtown Waco, The Olive Branch is a comfortable place for fellowship: a meal with friends or co-workers, a power breakfast meeting, or a dessert-and-coffee date. Finally, Christ is not judging you for frequenting Starbucks, and He does not care if you drink out of a Red Cup or a white cup at Christmas. I hope that as you see the Red Cup (whether that be in your hand or someone else’s) this season that you reflect on the red, white and green colors and how you can use them to share your faith with others. Talk about this controversy in a positive manner—tweet, comment, water-cooler, and blog about the colors in the cup as much as you want, but only if you can point a person to Christ. Jesus is the reason for the season, and there would not be any light at Christmas without the Light of the World.